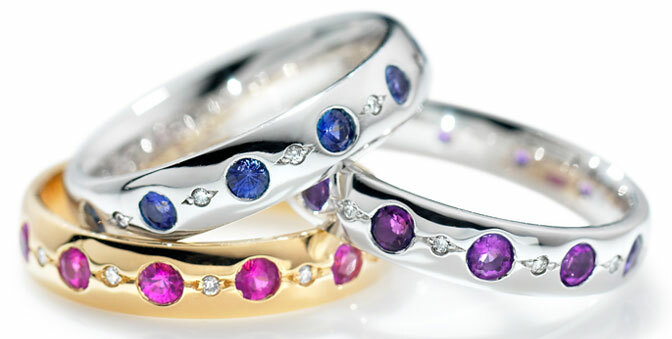 We have an extensive range of Gemstone Eternity Rings in stock to choose from. Our beautiful settings are available in white or yellow gold and in platinum. Choose from Amethyst, Ruby, Emerald, Sapphire, Topaz, and Opal to name just a few.